On this date in 1820, Thomas Cochrane, 10th Earl of Dundonald, completed the daring capture of Valdivia during the Chilean War of Independence. Using subterfuge and audacity, Lord Cochrane led 250 men and two ships in a nighttime assault on seven forts bristling with 110 guns, 700 soldiers, and 800 nearby reinforcements. Cochrane and his men routed the forts on the southern shore of the bay in the night, and the troops guarding the northern shore fled in the morning. Lord Cochrane was invited to the Chilean cause by the (terrifically-named) Bernardo O’Higgins, and became instrumental in securing Chile’s independence from Spain. 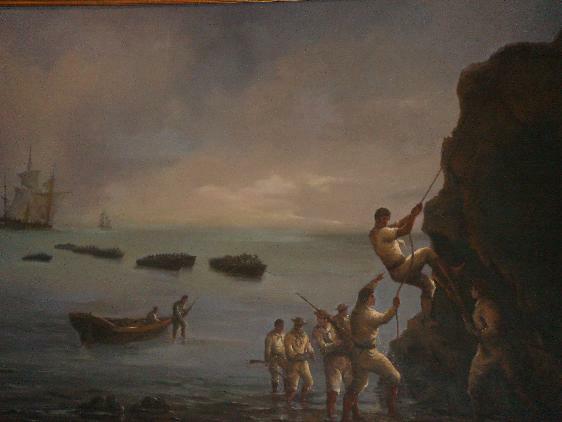 Yet the capture of Valdivia on February 3-4, 1820 was only one of Lord Cochrane’s many exploits on or near the High Seas. Nicknamed “The Sea Wolf” by his French adversaries, Cochrane served the British Navy with great flair and distinction. Cochrane commanded the HMS Speedy’s14 guns and 54 men in the audacious capturing of the Spanish frigate El Gamo (32 guns and 319 men) on May 6th, 1801. He was captured during the French Revolutionary Wars by a French admiral who sought the advice of his prisoner. Lord Cochrane got into a duel at a Maltese fancy dress party because a fellow officer mistook Cochrane’s common-sailor-costume for the real thing. He was kicked out of British politics and the navy after being found (dubiously) guilty in the Great Stock Exchange Fraud of 1814. 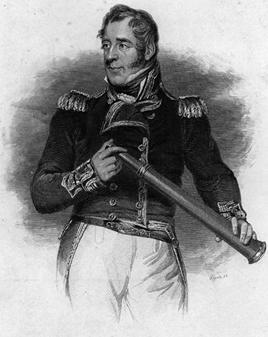 Not one to sit on his hands, Cochrane aided the Chilean, Brazilian, and Greek wars of independence until he was reinstated into the British Navy in 1832. Considered a brilliant practitioner of coastal warfare, Lord Cochrane planned his missions meticulously and frequently bluffed or disguised his way into victories over numerically superior opponents. Lord Cochrane is buried in Westminster Abbey, and has served as inspiration for C.S. Forester’s Horatio Hornblower and Patrick O’Brian’s Jack Aubrey. So if you find yourself drinking gin in a coastal port, watching the sun set beyond an old harbor fortress and imagining leading an assault on that position, pour one out for Lord Thomas Cochrane. He would know how to capture that fort, and with fewer troops than you would think were required.